Andrew Huang is a third-year B.A. candidate at Cornell University, majoring in China and Asia-Pacific studies with a minor in health policy. His academic interest in public health started with an internship at the NYU Center for the Study of Asian American Health, where he conducted research and organized outreach efforts on hepatitis B and other health disparities affecting Asian and Asian American communities in New York City. Huang most recently completed an internship at the White House Initiative on Asian Americans and Pacific Islanders, where he assisted with the health policy portfolio. Asian Americans are the fastest-growing racial group in the United States, and yet they have some of the highest rates of being uninsured when disaggregated into ethnic subgroups. Analyzing U.S. Census data from the 2008 to 2010 American Community Surveys, this article seeks to identify factors contributing to disparities in health insurance coverage among the six largest Asian American ethnic subgroups: Asian Indian, Chinese, Filipino, Japanese, Korean, and Vietnamese Americans. Multiple regression analysis done through IBM SPSS Statistics found that a combination of socioeconomic factors (household income, rate of self-employment, and educational attainment) as well as acculturative factors (percent native-born and percent limited English proficient) each produced statistically significant correlations with the differences in health insurance coverage observed among Asian American ethnic subgroups. 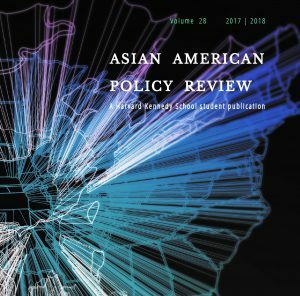 Policies aimed at improving health outcomes for Asian Americans in the United States will therefore need to address both the socioeconomic and acculturation issues potentially preventing emerging Asian American ethnic groups from accessing the health care system through health insurance and the Patient Protection and Affordable Care Act. The passage of the U.S. Patient Protection and Affordable Care Act (ACA) in March 2010 has left a profound impact on the future of the U.S. health care system, as state and federal governments continue to implement provisions of the ACA to expand health insurance coverage and affordable access to care for millions of uninsured Americans. Along with a federal mandate for individuals to purchase health insurance by 1 January 2014, the ACA also contains additional provisions aimed at increasing health insurance rates, either by expanding public health insurance eligibility or by encouraging Americans to purchase affordable private health plans through federal subsidies and insurance reforms. Some of the ACA’s major reform items include: setting uniform standards for states to expand Medicaid eligibility for those up to 133 percent of the federal poverty line; establishing state and federal health exchanges with federally subsidized health plans available for those up to 400 percent of the federal poverty line; prohibiting insurers from denying coverage based on preexisting conditions; and ensuring that young adults up to twenty-six years of age can remain covered under their parents’ insurance plans. Despite Congressional opposition to the ACA legislation and legal challenges raised by a few states, the U.S. Supreme Court decision in June 2012 to uphold the constitutionality of the ACA’s individual mandate as well as the re-election of President Barack Obama in November 2012 indicate that most provisions of the ACA will remain to be implemented, significantly affecting how health insurance will be accessed by millions of Americans for the foreseeable future. The importance of health insurance coverage in producing better health outcomes has been studied and documented extensively. In February 2009, the Institute of Medicine (IOM) released a summary report, the last of a series of seven reports spanning from 2001 to 2004, citing a number of research studies with evidence linking attainment of health insurance coverage with direct improvements in health outcomes. According to these studies, health insurance coverage was more often than not the major factor determining in whether children and adults had access to the preventive, diagnostic, and treatment health care services crucial for preventing illness, suffering, and death (Institute of Medicine of the National Academies 2009). Based on this, the IOM made strong recommendations for the United States to implement a health reform policy to achieve health insurance coverage for all Americans, arguing that continuing rising health care costs and a weakened economy would lead more people to avoid paying premiums for health insurance and exacerbate an already severe decline in health insurance coverage. But while the IOM report established a clear need for the United States to provide coverage for the 45.7 million Americans currently uninsured, it also noted that other socioeconomic and acculturative factors such as financial resources, geographic location, language, culture, and transportation are also important in determining a person’s likelihood to access effective health care services. Although stronger research is needed before establishing causal relationships in any of these areas, it is fairly conclusive that health insurance coverage is a strong predictor of health outcome status and plays a significant role in reducing the burden of providing care for many vulnerable populations in the United States (Kaiser Family Foundation 2008). Asian Americans will be among the population groups in the United States affected by health care reform. A recent Pew Research Center report released in June 2012 found that the Asian American population grew 46 percent in the last decade, surpassing Hispanics as the fastest-growing racial group in the United States. More than 14.7 million Asian Americans reported living in the United States in 2010, and while most have been traditionally concentrated in coastal areas and cities such as San Francisco, Los Angeles, and New York, a growing number of Asian American populations are moving inland, with Asian American communities emerging in cities such as Chicago, Minneapolis, Atlanta, Las Vegas, Dallas, and Houston (U.S. Census Bureau 2010). According to the U.S. Department of Health and Human Services, a projected 2 million Asian Americans will become newly insured by 2016 from the ACA, primarily based on expected expansions in Medicaid coverage and the creation of state and federal health insurance exchanges. Additionally, more than 120,000 Asian American young adults up to twenty-six years of age were able to acquire coverage from their parents’ health insurance plans by the end of 2011 (U.S. Department of Health and Human Services 2012). As it currently stands, Asian Americans will continue to be one of the largest population groups affected by implementation of the ACA and health policy reform in the United States in the next few years. However, one issue that has constantly prevented effective Asian American engagement in government policies, particularly in health, is a lack of data disaggregation for Asian American ethnic groups. Because information is collected and then characterized for Asian Americans as a whole, research studies, including the Pew Research Center report, are limited in their ability to accurately identify and disseminate information about the issues affecting specific Asian American subgroups. The significance of data disaggregation in policy making for Asian Americans is most apparent when looking at health policy areas such as health insurance coverage. When taken as an entire aggregate, 14.9 percent of Asian Americans do not have health insurance, a percentage slightly lower than the national average of 15.7 percent for all Americans (U.S. Department of Health and Human Services 2012). But when looking at Asian Americans by disaggregated subgroups, the extent of health insurance coverage varies dramatically, even among the six largest Asian American ethnic subgroups (see Figure 1). Rates of the uninsured for the six largest subgroups begin, at the low end, at 6.7 percent for Japanese Americans, 11.3 percent for Filipino Americans, 11.8 percent for Indian Americans, and 13.9 percent for Chinese Americans. While rates of the uninsured for these Asian American ethnic groups are lower than the national average of 15.7 percent, Vietnamese and Korean Americans suffer from some of the highest uninsured rates in the country, with almost one in five, or 20 percent, of Vietnamese Americans and more than one in four, or 25.5 percent, of Korean Americans not covered by any health insurance plan. Furthermore, these statistics compiled by the U.S. Department of Health and Human Services do not include many minority South Asian and Southeast Asian groups, for whom rates of the uninsured have been reported to range from 17 to 20 percent (Kaiser Family Foundation 2008). While the ACA mandates that every individual in the United States be covered by either an employer-based, public, or private health insurance plan by 1 January 2014, it is still critical for policy makers to identify why racial and ethnic disparities in health insurance coverage exist. Even though it has been strongly correlated with better health outcomes, health insurance in and of itself does not improve health outcomes. Instead, health insurance should be considered a policy tool that is used to encourage healthier decision-making behavior through the provision of affordable access to preventive and treatment care. The factors preventing Asian American ethnic groups from obtaining health insurance are the same factors that might prevent Asian American ethnic groups from seeking health services, and it is only through reform of the U.S. health care system that access to health care and better health outcomes can be made more readily available to racial and ethnic minorities. Therefore, in order to get a more accurate representation of the health status of Asian Americans in the United States, as well as a more comprehensive understanding of how the ACA will affect Asian Americans in the United States, this article examines and identifies the factors responsible for racial and ethnic disparities in health insurance coverage among Asian American subgroups. The 2008 to 2010 American Community Survey (ACS) three-year estimates were used as the source of socioeconomic and demographic data for Asian Americans living in metropolitan areas in the United States. The ACS is conducted by the U.S. Census Bureau every year and contains a compilation of socioeconomic and demographic data from a random sample of 3.5 million households across the United States, collected through a consistent methodology of legally enforceable mail questionnaires, phone interviews, and in-person interviews. This specific data set consisted of values averaged over three years from American Community Surveys conducted in 2008, 2009, and 2010. Because of limitations in Census data reporting, this study focuses on the six largest Asian American ethnic subgroups identified in the Census 2010 report: Asian Indian Americans, Chinese Americans, Filipino Americans, Japanese Americans, Korean Americans, and Vietnamese Americans. Data samples from the 2008 to 2010 ACS three-year estimates were filtered and categorized using these six Asian American ethnic subgroups and metropolitan areas with populations of 20,000 or more defined as the search criteria. Data samples on Asian Americans living in rural or non-metropolitan areas were not available by the Census to be included. A total of one-hundred data samples were compiled, containing ACS data ranging in ethnicity and geography from the Asian Indian population in Atlanta to the Japanese American population in Honolulu. The first part of this analysis focuses on identifying the socioeconomic and acculturative factors that correlate with the differences in health insurance rates across the six Asian American subgroups. By placing ethnicity aside and identifying the combination of factors that can help explain these health coverage disparities, these factors can then be used as the benchmarks by which to identify why certain Asian American ethnic subgroups are either doing well or doing poorly in terms of health insurance coverage. Using IBM SPSS Statistics, linear regression analysis was performed for each of the forty topics measured by the American Community Survey, which include income, occupation, educational attainment, language spoken at home, nativity, ancestry, and selected monthly homeowner costs. Individual measures determined to be significantly correlated with rates of uninsured were isolated and placed together under multiple regression analysis, which takes into account possible confounding effects between explanatory variables. Any issues of multicollinearity between explanatory variables were identified and adjusted for. Linear regression analysis found that three socioeconomic variables (median household income per year, percent self-employed, and percent high school graduate or higher) and two acculturative variables (percent native-born and percent limited English proficient) produced statistically significant correlations at the 5 percent level with the dependent variable, percent uninsured. Despite not adjusting for outliers, each of these independent variables was shown to have an explanatory effect for why differences in health insurance coverage exist between communities of Asian American subgroups, barring consideration of ethnicity (see Figures 2-6). Figure 2 — Percent uninsured versus median household income per year (USD). Figure 3 — Percent uninsured versus percent self-employed. Figure 4 — Percent uninsured versus percent high school graduate or higher. Figure 5— Percent uninsured versus percent native-born. Figure 6 — Percent uninsured versus percent English language proficient. Multiple regression analysis confirmed that the correlative relationship between all five explanatory variables and the dependent variable of percent uninsured was also statistically significant at a 5 percent level. Although the explanatory variable of percent limited English proficient showed a significance level higher than 5 percent, this was found to be attributed to the variable having correlative relationships with the other explanatory variables of median household income per year, percent self-employed, and percent high school graduate or higher. Removing the influence of these variables showed that the explanatory variable of percent limited English proficient was still correlated with the dependent variable of percent uninsured at a statistically significant level. The adjusted R square value for equation is 0.676, indicating that this combination of variables has a relative explanatory power of 67.6 percent. This supports the hypothesis that acculturative factors, in addition to socioeconomic factors, play a role in determining health insurance coverage for communities of Asian American subgroups. The most interesting aspect of this study is that even though this data set encompasses Asian American communities of different population sizes and geographical locations, data points for all five explanatory variables appear to be clustered by ethnicity (see Figures 2-6). The next part of this analysis will look at the scatterplots of each explanatory variable to subjectively identify where certain Asian American ethnicities fit along these variables and use these variables as a model to determine whether that explains why certain subgroups have lower rates of health insurance coverage than others. Linear regression showed an inverse relationship between percent uninsured and median household income per year, that is, the greater the value of median household income per year, the lower percentage of uninsured there was among all Asian American communities (see Figure 2). This relationship is very intuitive; those living in communities of Asian American subgroups with higher median household incomes are wealthier, more likely to be employed, and if not receiving health insurance through an employer, are more likely to be able to afford private health insurance plans. When considering ethnicity, however, it is also important to note that the figure shows Vietnamese American and Korean American communities as having had the lowest median household incomes per year among all Asian American subgroups surveyed (see Figure 2). Reasons for this may be due to a variety of factors, but is consistent with studies done by Kathie Huang and Olveen Carrasquillo (2008) showing that a disproportionate number of Korean and Vietnamese workers find employment in the service industry, blue collar occupations, and small business firms, which are less likely to provide health insurance due to lower revenues and lower salaries. On the other hand, rates of self-employment showed a positive correlative relationship with rates of uninsured (see Figure 3). This relationship is also intuitive as those who run their own businesses are more likely to be uninsured and less likely to purchase health insurance because of its direct cost on their livelihood. The choice to forgo health insurance is a common practice for self-employed business owners to improve the profitability of their business by taking on greater potential health risks. The graph for this variable also shows Vietnamese and Korean Americans as being more likely to be self-employed among all Asian American subgroups, resulting in a greater percentage of uninsured Vietnamese and Korean Americans (see Figure 3). While this result is also consistent with the studies by Huang and Carrasquillo (2008), the reasons behind this phenomenon may also be related to ethnic enclaves. A Chicago Federal Reserve report performed by Maude Toussaint-Comeau (2008) suggests that there may be a relationship between ethnic geographical concentration and propensity for self-employment among immigrant groups in the United States. Although ethnic geographical concentration was not measured in this study, a strong correlation was found between the variables of percent self-employed and percent limited English proficient. This may suggest one of two causal relationships: Vietnamese and Korean Americans are either self-employed because limited English proficiency prevents participation in the mainstream job market, or because of limited English proficiency, there is a demand for Vietnamese- and Korean American–owned businesses to provide services in these ethnic communities. Educational attainment, measured by the percentage of high school graduates or higher in each Asian American community, showed a weak negative correlation with percent uninsured (see Figure 4). Asian American subgroups with greater educational attainment were slightly less likely to be uninsured. A paper by David Cutler and Adriana Lleras-Muney (2006) provides evidence of a relationship between educational attainment and health, due to higher-educated individuals being able to recognize the benefits of healthier behaviors, such as attaining health insurance coverage, when making decisions. In this data set, however, educational attainment may have a diminished effect on rates of uninsured at higher percentages. Additionally many exceptions to the linear model can be seen, suggesting that educational attainment plays a limited role in producing health insurance coverage. The clustering of ethnic data samples is less distinguished for educational attainment than for other explanatory variables (see Figure 4). Vietnamese Americans have the lowest percentages of high school graduates, which may account for their higher uninsured rates. However, Korean Americans have high percentages of high school graduates but still demonstrate higher uninsured rates as well. For Korean Americans, variations in income, occupation, and acculturative factors may play a bigger role in determining health insurance coverage than education. According to the linear regression, Asian American communities with greater percentages of native-born population were less likely to be uninsured (see Figure 5). One possible explanation is that those communities with a greater proportion of native-born population are more well-established, are more strongly integrated into the general population, and have a larger population of second-generation American citizens that are born in the United States and can not only navigate past linguistic and cultural barriers, but also understand the technical language barriers of the United States health care system. When looking at the figure, however, the data points weakly fit the linear model, and it is possible that this relationship is more hyperbolic than linear. Additionally, the differences in ethnic clustering are the most distinct in this figure than for any other explanatory variable. Five out of the six Japanese American communities surveyed in the United States had a percentage of native-born that was over 60 percent, while most of the communities of other Asian American subgroups fell below 40 percent (see Figure 5). While this result is consistent with patterns of immigration throughout history, it also strongly supports the hypothesis that ethnic subgroups that have acculturated over time will be more likely to be covered by health insurance. However, it is also possible that age may play a role in this, as ethnic communities primarily made up of foreign-born immigrants may also simply be less eligible for public health insurance programs such as Medicare or Medicaid due to either age or legal restrictions. Limited English proficiency showed a positive correlation with percent uninsured (see Figure 6). While this relationship might be the most intuitive, as those who cannot speak English are less likely to be able to purchase or attain health insurance, it is also the most difficult relationship to understand due to English proficiency being the most multicorrelated variable in the study. Reasons for why limited English proficiency plays a large role in health insurance coverage are varied and many have been covered above. Language access is a huge predictor for the strength and concentration of an ethnic group in a geographic location, which may be related to rates in self-employment and income levels. Language access is also strongly correlated with educational attainment, with limited English proficiency able to act as either the cause of or the result of lower educational attainment. In and of itself, English proficiency is one of the best indicators of an ethnic group’s ability to integrate in the United States, and those with lower percentages of English proficiency find it difficult not only to purchase health insurance in the United States, but also to find culturally competent and linguistically capable care. Ethnic disparities in language access are also clearly visible in the graph of percent uninsured versus percent limited English proficient (see Figure 6). While a majority of Japanese, Indian, and Filipino American communities have less than 30 percent of their population self-reported as limited English speakers, Chinese, Korean, and Vietnamese American communities have the highest percentages of limited English proficiency, translating into higher percentages of uninsured. These results are consistent with studies done by Ami M. Shah et al. (2010), where Chinese, Cambodian, and Vietnamese communities surveyed in Chicago all had higher rates of limited English proficiency, which also correlated with corresponding lower rates in health insurance coverage. In a similar study, Margarita Alegria et al. (2005) conducted interviews for the National Latino and Asian American Study and found that Vietnamese Americans had the highest rates of limited English proficiency, which correlated with Vietnamese Americans having the lowest rates of health insurance coverage out of all Asian American subgroups surveyed. The results of this study have several important implications for health policy, especially with the provisions of the ACA being put into effect during the next few years. As the ACA continues to be implemented, now is a critical time for policy makers to consider the needs of Asian American communities across the United States. The importance of median household income as a correlative factor means that economic policies that can increase the household income of Asian American or immigrant minorities would have a contributory effect on health insurance coverage among these population groups. This also means that if policies were made to make health insurance plans more affordable, there is a strong chance that these population groups would be more receptive to obtaining coverage. The Affordable Care Act tries to do this through the establishment of federal and state health insurance exchanges where federally subsidized health plans will be available for purchase for those with household incomes up to 400 percent of the federal poverty line. However, greater pressure also needs to be placed on all state governments to provide financial assistance for those that cannot afford health insurance plans by extending Medicaid eligibility to include those up to 133 percent of the federal poverty line. The difficulty of self-employed workers purchasing health insurance means that there needs to be ways to encourage Asian American entrepreneurs and small businesses to provide health insurance for themselves and their employees. Although the Affordable Care Act does address this issue through the federal mandate, provisions to exclude businesses with fifty or less employees means we may still see an increase in the number of small businesses that employ less workers, as business owners use the exemption as a way to avoid paying for health insurance or the mandate’s penalty fee. Although the ACA does provide a tax credit to help small businesses provide health insurance for their employees, the U.S. Small Business Administration needs to do a better job in making sure businesses in ethnic communities, especially Vietnamese and Korean American communities where self-employment rates are the highest, understand the importance and availability of the tax credit for their businesses. The correlation of high school educational attainment means that education policy will also play a role in increasing health insurance coverage. Increasing educational attainment will still be important for promoting healthy behavior and health insurance attainment, but because a great proportion of Asian Americans are still foreign-born, education programs will need to be targeted toward this audience. 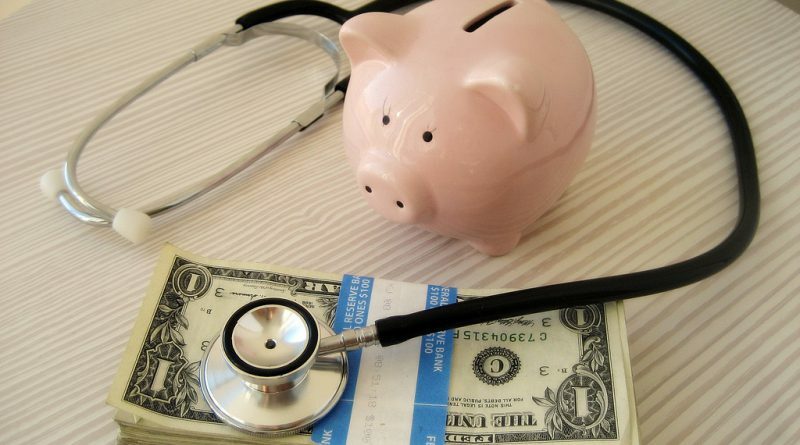 State and federal agencies, including the Department of Health and Human Services Office of Minority Health (OMH) and those participating in the Financial Literacy and Education Commission, need to provide guidance on as well as coordinate on creating programs to educate foreign-born citizens in health care literacy and financial insurance literacy; they also must provide detailed information about how citizens can participate and utilize the federal and state health exchange markets provided by the Affordable Care Act. Finally, one of the important points of this study is that it shows that acculturative factors such as the percent of native-born and rates of English proficiency in Asian American communities play a major role in determining health policy and health insurance coverage. The fact that communities with greater native-born generations and greater English proficiency correlate strongly with health insurance attainment suggests that it is the foreign-born, non-English speaking generation of Asian Americans that requires the most help in terms of integration and participation in the U.S. health care system. Several policies can be implemented to help resolve this acculturative disparity. To assist Asian American communities with limited English proficiency in attaining health insurance, policy makers in the OMH and Office of Civil Rights should ensure that state and federal health insurance exchanges provide equal language access, with exchange materials being made available in the appropriate languages of Asian American ethnic groups residing in each state. Another method to provide better health care access to Asian Americans and other racial and ethnic minorities is for the Department of Health and Human Services to provide additional funding and guidance to support the establishment of more Federally Qualified Health Centers (FQHCs) in medically underserved Asian and Asian American communities. FQHCs are community-based health centers that receive federal funds for providing comprehensive primary care services in medically underserved areas, regardless of a patient’s ability to pay. This important stipulation not only acts as a safety net for the uninsured, but also acts as an incentive for the FQHCs to adopt culturally and linguistically competent practices necessary for treating their communities. These practices, if proven to be successful, can then serve as models for other health care providers to better access ethnic communities. One of the failings of the ACA is that it continues a policy of not allowing new immigrants to participate in Medicaid or receive the new federal subsidies for health insurance obtained in the exchanges. Centers for Medicare & Medicaid Services (CMS) should reconsider its decision not to include immigrants in the state and federal health exchanges, as a large proportion of Asian Americans are foreign-born immigrants who would be ineligible to participate in the exchanges under these current policies. Most importantly, the policy change that needs to occur is for more accurate data to be collected on Asian Americans, especially data that is disaggregated by ethnic subgroup. If this study has proven anything, it is that health insurance coverage and health outcomes for Asian Americans cannot be understood if data is not disaggregated to incorporate the diverse needs of each Asian American subgroup. Unless OMH and CMS ensure that state and federal health exchanges collect comprehensive data on the ethnic demographics of its participants, health policies toward Asian American groups will continue to be flawed in their approach. Using 2008 to 2010 American Community Survey data, differences in rates of uninsured among Asian American ethnic subgroups were identified and attributed to five distinct socioeconomic and acculturative factors. But while each of these factors held independent correlations, it is important to note that degrees of correlation exist even among these factors, which means that when creating policies to improve health insurance coverage among Asian Americans, policy makers will need to consider all five of the socioeconomic and acculturative factors rather than resolve insurance coverage through piecemeal reform. There are a wide variety of comprehensive policy reforms available to help emerging Asian American communities access the U.S. health care system, and it will be the responsibility of policy makers to help resolve these racial and ethnic disparities in health care access to ensure that minority groups stand on equal footing in our health care system. Alegria, Margarita et al. 2005. Health insurance for vulnerable populations: Understanding differences across Asian American and Latino subgroups in the United States. Economic Research Initiative on the Uninsured, Working Paper Series. Cutler, David M., and Adriana Lleras-Muney. 2006. Education and health: Evaluating theories and evidence. National Bureau of Economic Research, Working Paper No. 12352. Huang, Kathie, and Olveen Carrasquillo. 2008. The role of citizenship, employment, and socioeconomic characteristics in health insurance coverage among Asian subgroups in the United States. Medical Care 46(10): 1093-1098. Institute of Medicine of the National Academies. 2009. America’s uninsured crisis: Consequences for health and health care. Washington, DC: The National Academies Press. Kaiser Family Foundation. 2008. Health coverage and access to care among Asian Americans, Native Hawaiians, and Pacific Islanders, Race, Ethnicity & Health Care Fact Sheet, April. Pew Research Center. 2012. The rise of Asian Americans. Pew Research Social and Demographic Trends, June. Shah, Ami M. et al. 2010. Comparing selected measures of health outcomes and health-seeking behaviors in Chinese, Cambodian, and Vietnamese communities of Chicago: Results from local health surveys. Journal of Urban Health 87(5): 813-826. Toussaint-Comeau, Maude. 2008. Do ethnic enclaves and networks promote immigrant self-employment? Economic Perspectives 32(4). U.S. Census Bureau. 2010. The Asian population: 2010: 2010 Census Briefs. U.S. Department of Health and Human Services. 2012. The Affordable Care Act and Asian Americans and Pacific Islanders. Office of the Assistant Secretary for Planning and Evaluation Research Brief.